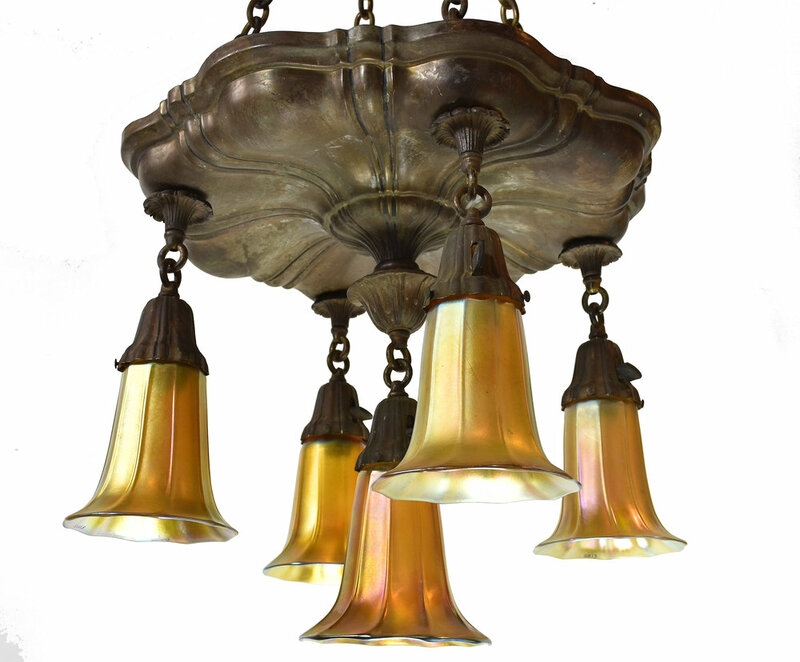 A beautiful Sheffield pan and shower style chandelier. 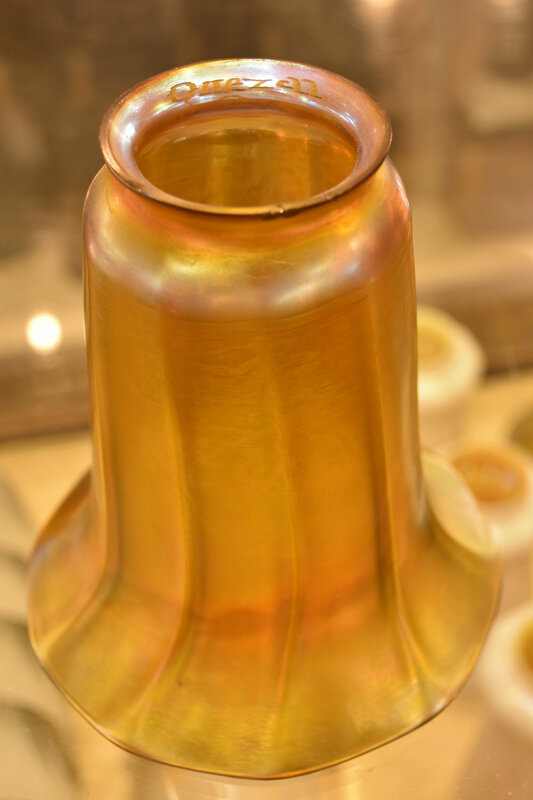 The fluted lines are used throughout and it has a unique blend of simplicity and complexity. 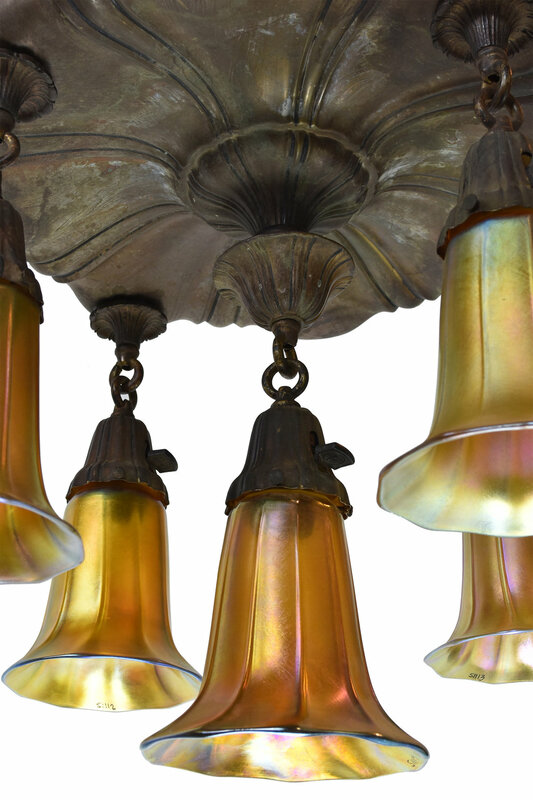 This chandelier brings out the amazing beauty of the Steuben shades, enhancing instead of distracting from them. Be sure to include the Product ID (AA#48008) when making your offer.